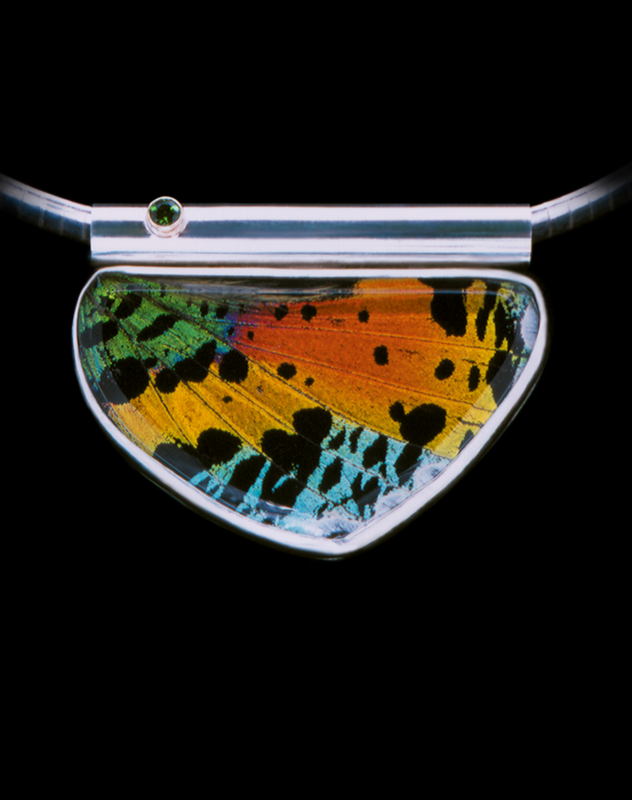 Considered one of the most beautiful insects in the world, the Sunset Moth's beauty is forever preserved with this striking pendant. The sunrise side of the wing is set under hand cut and clear beveled glass. Pendant is sterling silver and features a contemporary bail with a Green Tsavorite Garnet set in 14kt yellow gold.